Cape Town - The SA Revenue Service on Monday called on President Cyril Ramaphosa to fast track the establishment of a commission into its leadership, as it lamented what it called an “ongoing media onslaught” focused on its head Tom Moyane. Ramaphosa announced a commission of inquiry into the leadership of the tax agency during his State of the Nation Address in mid-February. Moyane has been under the media spotlight recently for his role in handling millions of rands in VAT refunds to a Gupta-linked company via a third party. 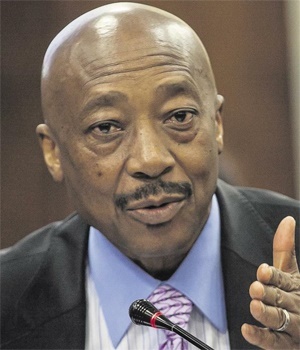 SARS has denied that Moyane acted unlawfully or played a prominent role in sanctioning the refund. The taxman said on Monday that, while it “wishes to acknowledge that the media is an important institution that plays a pivotal role in our society”, the “unrelenting media attack” on Moyane was damaging the reputation of the organisation. Ramaphosa said during his SONA that he, “at the request of the Minister of Finance, will shortly appoint a Commission of Inquiry into Tax Administration and Governance of SARS, to ensure that we restore the credibility of the service and strengthen its capacity to meet its revenue targets. The finance minister who requested the commission, Malusi Gigaba, has since been replaced by Nhlanhla Nene. In his 2018 Budget speech, delivered on February 21, Gigaba referred to the inquiry by noting that “tax morality is a crucial component of a healthy democracy”. Public Enterprises Minister Pravin Gordhan, meanwhile, told Bloomberg that SARS' leadership team has no credibility and will soon be changed.